Sherwyn gets quite a surprise while out and about one day. He runs into a dragon. At first, he screams and is quite scared. But the dragon just keeps smiling at Sherwyn. So, Sherwyn decides to talk to the dragon and find out why it is so happy. So begins a new and unlikely friendship between Sherwyn and the Peace Dragon. They began to have daily adventures until one day, Sherwyn wanted to take the Peace Dragon home to his village. Would the community love Peace Dragon as much as Sherwyn does or would they be scared like most people when they first meet a dragon? This lovely story shares important lessons on being kind and sharing love and happiness with each other. 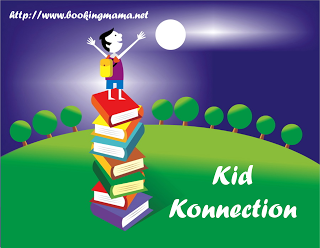 The author writes, “This is a story….about how the things we see aren’t exactly what they seem.” She wants everyone to be a dragon – a Peace Dragon. Sherwyn wasn’t sure he could be friends with a dragon, but found he couldn’t stay away and really enjoyed spending time with the dragon. The illustrations show the pure joy between Sherwyn and the Peace Dragon. 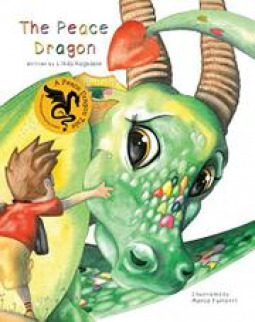 There is apprehension built into the story when Sherwyn takes the Peace Dragon back to his village and I’m sure kids will be holding their breath to see if the village will accept the Peace Dragon. Kids will rally alongside Sherwyn and hope that everyone sees how kind and loving the Peace Dragon, whose scales are made of hearts, can be. Linda Ragsdale is an author, illustrator, international speaker, and peace teacher. Ragsdale has developed her Peace Dragon Tales to teach us how to harness our fiery energy into a peaceful and productive outlet by owning our human powers of view, voice, and choice. Linda invites you to be a Peace Dragon ambassador. You can find her personal story of choosing peace, along with some fun Peace Dragon extras at her website, HERE. Marco Furlotti is an author and illustrator of beautiful children’s books. He has worked on a number of titles in a variety of languages for publishers around the world. Marco currently lives with his family on the beautiful Appennino Emiliano in Parma, Italy. Thanks to the publisher for sending copies of these books for the purpose of this review. This review is my honest opinion. If you choose to purchase the books through the above links, I may receive a small commission without you having to pay a cent more for your purchase.